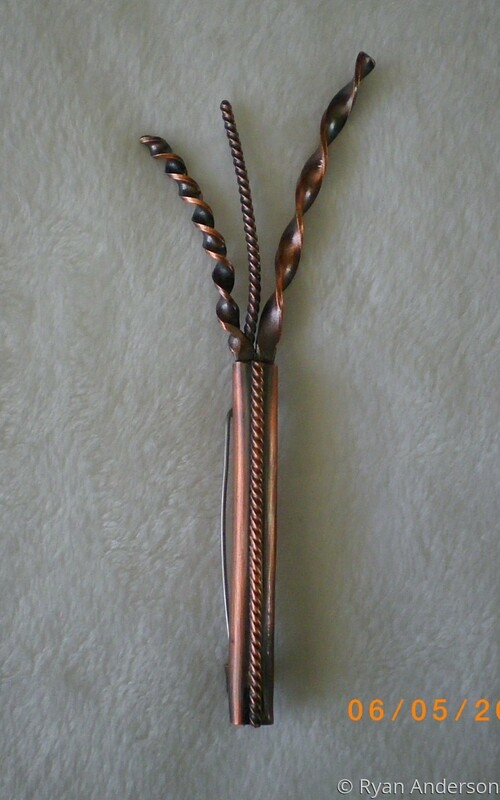 This tiny copper vase with three twisted branches will catch everyone's eye. It is made of forged copper tubing and wire, then patinaed with liver of sulfur to add depth and interest. The pin on the back is steel.